News has emerged that Advanced Micro Devices also held talks with graphics processor designer Nvidia about acquiring them before they went ahead and purchased ATI in 2006, according to former AMD employees speaking to Forbes. At the time many experts in the processor industry believed that shrinking transistors would create an opportunity to add new capabilities to processors designed and built for PCs and servers. AMD’s then chief executive Hector Ruiz bet that his company could overtake arch rival Intel by grabbing a slice of the graphics processing unit (GPU) market. According to those former employees, Nvidia was the first target, but talks broke down after the video card giant’s chief Executive Jen-Hsun Huang insisted on being made chief executive of the combined company if the acquisition went ahead. This resulted in the CPU maker approaching ATI and after talks subsequently purchased them in July 2006 for $5.4 billion. Initially the firm struggled with integrating its newly acquired graphics business, amid multiple launches of strong products from Nvidia, which further eroded ATI’s market share. AMD has worked hard to fight back, with several very strong GPU releases, including the current world’s fastest single GPU graphics card, the new AMD Radeon HD 7970, which took the spot from Nvidia’s GTX 580. At the same time Nvidia has been pushing hard into the mobile processors market, a move they were rewarded with last year when Microsoft announced that Windows 8 will run on their ARM processors, alongside processors from Qualcomm and Texas Instruments. Whilst AMD’s graphics video unit has been achieving good results with several GPU releases, including the AMD Radeon HD6870 and HD6970 models, as well as the dual-GPU HD6990 model, the processor division has been struggling against Intel. The “bulldozer” AM3+ platform hit retail much later than planned after multiple delays, and despite claims throughout its development cycle that it would compete with the fastest Intel products, it ultimately struggled against Intel’s “Sandy Bridge” line of i5 and i7 quad core processors. 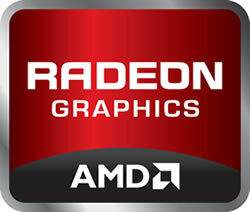 Today, AMD has a market capitalization of just $5.2 billion. Nvidia’s sits at nearly twice that figure, with 9.7 billion.